as a paramedical esthetician, this product can not be beat. it will be tolerated by every skintype and gives excellent results. not too expensive either! light serum makes it great for oily skin or just add a moisturizer on top for drier skintypes. I have been using this product for the last 5 yrs. Yes, this product does have a slight sticky feeling but it's intended to be used at night WITH a moisturizer. It really helps enhance the results... 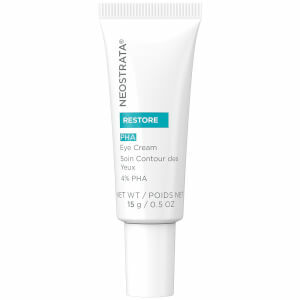 I only use it the areas I need that extra attention and then apply my moisturizer (NeoStrata BioHydrating Cream). My skin had never looked more youthful, smooth and refreshed! 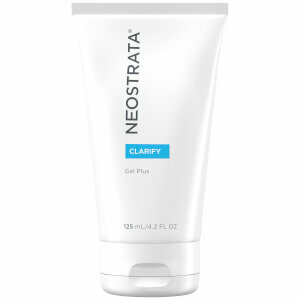 I LOVE NEOSTRATA! I am an avid serum user and this is by far the worst serum I have ever used! Not only is it sticky and greasy when applying but that sticky greasy residue stays on my face for a good 4 hours! Hair gets stuck to my cheeks its so sticky!! And it doesn't penetrate the skin at all! When left to dry it feels like a masque that needs to be pulled off. It leaves the face tight after leaving it sticky for hours! Skip this purchase! I like the results of this product, especially if your skin is too sensitive for traditional alpha hydroxy exfoliants. But the important thing to note, is that its a lightweight 'gel moisturizer' not a serum! It forms a very light layer on the skin and doesn't fully melt in like a serum. Still, the results are very good and one pump is the perfect amount, don't use too much or it gets sticky and thick! Currently its my favorite product to use as a gentle AM exfoliant. After using the serum for just a few days, I noticed a new smoothness to my skin. I have an age spot that is shrinking, too. I have oily skin, and an area of enlarged pores. It's helping reduce the enlarged pores. The one drawback is that it is sticky after application. I try to put it on at least a half-hour before I go to bed. That seems to give it enough time to soak into my skin. very good anti aging product as it doesnt cause sensitive reaction, although i guess this product dont not really penetrate the skin to simulate collagen but it is still very good when it come to the epidermis layer. If you really want something that can simulate collagen but doesnt want the retinol and L-ascorbic acid side effect, then the best alternative will be cooltouch laser. if u use too much , it may not by that good , becos your moisturiser might not be able to penetrate properly , but if u use 3 to 6 drop only then it will be a very differnt story , it leave your skin silky and your moisturiser get to penetrate with this serum which may your skin wonderful silky looking . IT ABSORBED VERY WELL ON MY SKIN. I TEND TO HAVE DRY SKIN. VERY MOISTURIZING. It was recommended to me by my facialist after glycolic peels and although I agree at first it feels a little sticky, I think my face looks better and it has not caused breakouts. I agree, this product DOES NOT absorb at all. You are just left with a shiny, sticky feel & look. Wouldn't recommend.